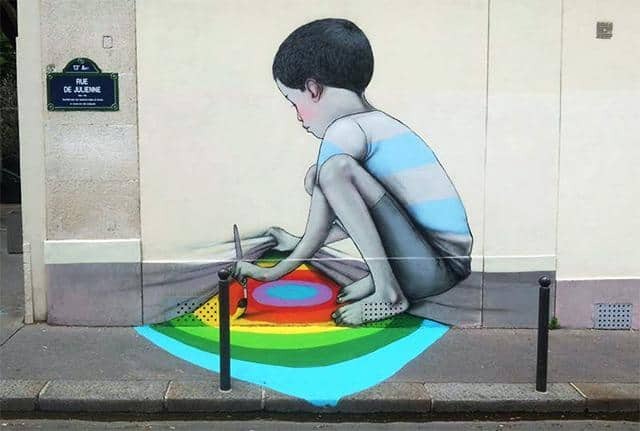 You like Street Art, and you are curious what Paris has to offer? Paris has a strong urban alternative culture – and the city government actually supports it. Obey (Shepard Farey), D-Face, C215 have huge frescos that reach to the skies. Jeff Aérosol and Miss Tic will also greet you. Plus many local artists you might see for the first time. You can count on a plethora of artists on this very “clued in” tour. This tour covers le Treizième – the thirteenth ‘arrondissement’ or district. The east of Paris is traditionally the working class neighborhood, that is where the first street art of Paris spruced up over 30 years ago. And it continues to flourishes there today, thanks to artists such as jeff aerosol and Miss Tic, and thanks to the incredible access to creative spaces that artists receive in le Treizième. 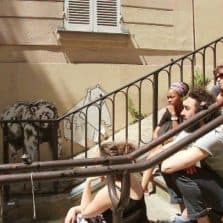 This tour is designed for lovers of Street Art, and for people on the look-out for something different to discover. It is a way to dive into this new form of art that you will find now in every major city across the world. The guide is Victor – a guide and an activist in the Street Art community. Victor will introduce you to the different movements in the street art scene, the techniques artists use, or the evolution of young artists such as Banksy who are now some of the most famous artists in the world. Street Art richness and diversity are guaranteed during the tour! Street Art artists explore many ways of expressions: graffiti, stencils, collages, murals paintings…to share with the world their vision of society, or simply for aesthetical purposes. It is constantly evolving and is built through different ways of expressions, inspirations and its environment. Like any other form of art, Street Art has its own ethic and values that the guide will pass it on to you during the guided tour. Understand, analyze and decipher: the works are revealed for your greater pleasure! Know the artists names, their influences and how they evolve, discover their crew and how it can change their artistic approach. These are examples of some of the fun facts you will hear during the guided tour. Our tour is also a way to discover parts of the city totally unknown to regular tourists, truly one of Paris’ hidden gems. To see the Paris that other tourists miss. Because street art is not only for New York, London and Berlin. 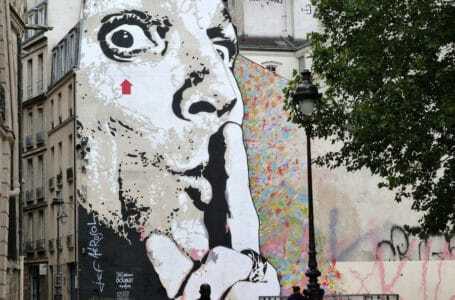 Find out the French take on Street Art. €25/adult, discounted to €15 for kids aged 17 and less. Are you visiting with a group of friends, or shopping for specific items? Then you might enjoy retaining a private guide. From €125, depending on group size and tour duration.